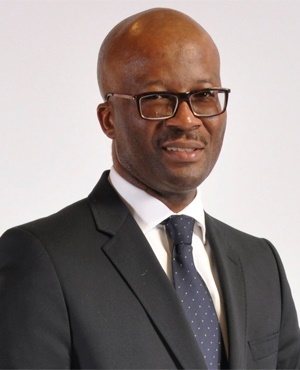 A forensic report into a delayed national IT system has recommended that Treasury director general Dondo Mogajane take action against officials allegedly responsible for financial mismanagement. Treasury on Wednesday night briefed the standing committee on public accounts (Scopa) on the findings and recommendations of a probe into the Integrated Financial Management System, or IFMS. A forensic report by Nexus Forensic Services found some R300m in irregular and authorised expenditure related to the IFMS. Treasury as not yet had time to considered the responses of implicated service providers. The IFMS, which was approved by Cabinet in 2005, has cost the state over R1bn. It is meant to integrate the disparate financial, human resources and supply chain management systems of government departments. Mogajane was meant to brief the committee on the report two weeks ago, but it had not yet been finalised. At the time he told MPs that the report recommends he take action against certain individuals and companies, but these parties first need to be given an opportunity to view it and submit comments. The report, based on an investigation by Nexus Forensic Services, has since been made available to those implicated to give them an opportunity to respond to allegations. The committee also received copies of it ahead of Wednesday's meeting. The findings by Nexus revealed irregular expenditure of R273m and unauthorised expenditure of R17.8m. Nexus found possibly flawed procurement processes with bidders failing to declare conflict of interest, non-compliance with supply chain management policy and failures of contract management. According to the findings of the Nexus report, contracts were irregularly awarded to several service providers, meaning all payments made to these service providers was irregular, Mogajane told the committee on Wednesday evening. The Nexus report found that contracts were irregularly awarded to ICT Works, resulting in R165m in irregular spending. Nexus found that contracts were irregularly awarded to KPMG, Apex and Abacus, resulting in irregular spending of R69m, R8.8m and R28.4m. Another finding shows that three service providers - KPMG, Abacus and Barnstone – failed to declare interest in bid documents for tenders. Nexus recommended that this be referred to law enforcement. "Basic financial management processes were thrown out the door in some instances," said Mogajane. "I am not pointing fingers at anyone in the report [...] they have an opportunity to respond," he added. The implicated service providers had until December 5 to give full responses, which Treasury is yet to consider. Nexus recommended that the DG take action against implicated officials. Mogajane said that he will continue to study the report, and take further action where necessary.